Chase for Business is taking its experts directly to small business owners in a yearlong rolling road show. In this age of mobile commerce, when almost any business transaction can be done through an app, it’s easy to lose track of the value of face-to-face customer interaction. But not if you’re Chase for Business. As small business owners navigate the digital, 21st-century skills of social media and marketing, Chase understands the enduring virtue of providing in-person guidance to its small business clients. 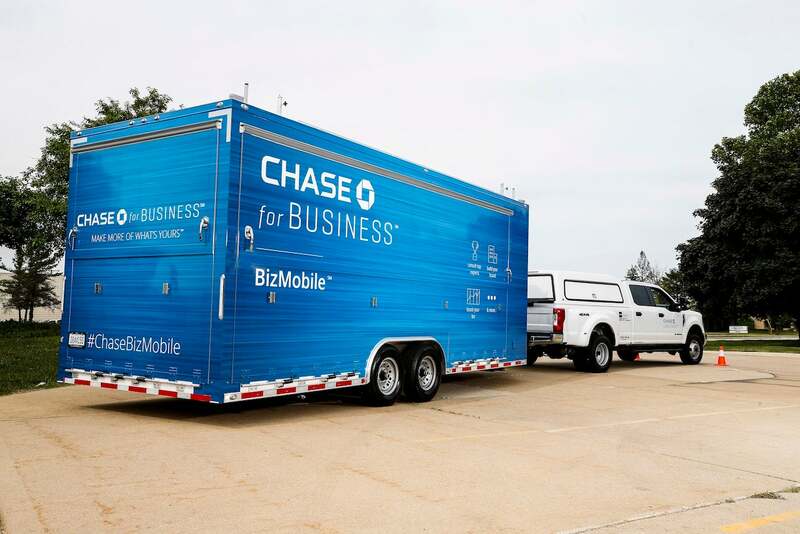 That’s the idea behind Chase’s BizMobile, a mobile consulting trailer that Chase for Business introduces this week in Detroit and will take on a road tour through the year. Brent Reinhard, CMO and product executive for Business Banking at Chase, explained the BizMobile mission in a recent interview. Q: Most people probably think of “mobile” commerce in the digital sense. Why take the idea of mobile business literally with the BizMobile? BRENT: The insight is driven from our customers. What we know about small business owners is that they are time-starved. And they love to operate in their local communities. So while Chase has fantastic mobile solutions, like our app, we thought it would really be great to reach our small business customers where they are and where they do business. Our branch network is an inherently local presence for Chase, but this is a way to build on that. 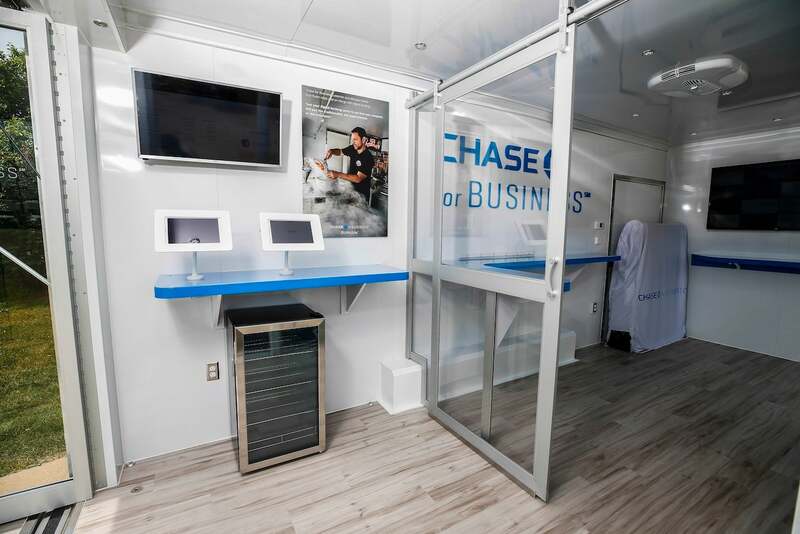 And if you can’t visit the BizMobile in person, you can get a version of that experience by following us on Twitter with #ChaseBizMobile. Q: What unmet need in the small business community is the BizMobile journey meant to fulfill? Q: The BizMobile consultations will emphasize social media and digital marketing. Why? BRENT: There’s a lot of confusion around how to do those things and how to do them well. And there’s a lot of fear – that if they do it “wrong” they will sink their business or brand. We also see that there are a lot of common mistakes – spreading themselves too thin, trying to be on all platforms instead of just the ones that might be right for their business. There are very easy insights that our experts can share as small business owners try to expand their businesses into social media. Q. How are you picking locations for the BizMobile tour? BRENT: There are several criteria. First, we want to make sure if there is an event where our customers will be, then Chase will be on-site. Detroit is the perfect example. We are the sponsor of Detroit Startup Week and the Women’s Business Entrepreneurs Networking Conference, so it makes a ton of sense for the BizMobile to be there. Similarly, we’re working with the Essence Festival in New Orleans in July, so we’ll be on-site there. We’re also selecting locations where we’ve got a really great presence, but haven’t been able to bring one of our larger conferences or events – Jacksonville and Sarasota, for example. Locations and topics will continually be posted on chasebizmobile.com. Q. Who are the experts participating in the BizMobile? BRENT: They’re experts both outside Chase and inside, depending on the topic. Intuit, for example, is one of our partners who will be on the road with us. They’ll be doing consultations on how to manage business expenses and expense-management software. The social and digital marketing is done by a partner and client of ours, Zen Media. We’ll also have business experts and influencers at different stops. For example, Jay Baer, an expert on word-of-mouth advertising, will be at a few stops. Where the topics are much closer to what Chase for Business does on a day-to-day basis, we’ll bring our own experts. We’ve got a session on “Demystifying the Application for Credit” that will really help people understand how to apply for and prepare their business for credit. So we’ll bring those experts on the road. Q: The BizMobile’s covered outdoor space will include client pop-up shops. What sort of clients? BRENT: We really see this as a showcase opportunity for Chase for Business local clients – especially ones that have a fun and interactive experience that will engage people. Food is always a hit, so we’re looking at food and beverage companies. In Detroit, we’ll have Nothing Bundt Cakes passing out snacks and treats, and Title Boxing Club will be doing boxing demonstrations. Q: What does Chase hope to accomplish with the BizMobile? BRENT: We want to make sure that the feedback we get from clients who participate is that they got something useful. That’s first and foremost. As we think about Chase for Business in general, we want to make sure that the small business owner in any community understands how important they and their business are to us. One of the things we hear from business owners is that “Chase can’t possibly want my business, because my business is too small.” The truth is, we love small businesses. So if we leave a community having helped small business owners, and we’ve left an impression that we want to serve small business owners in that community, then we will have succeeded.